FELLOW worked with Hispanic Market Agency Orcí on this social campaign for the new Honda Civic. 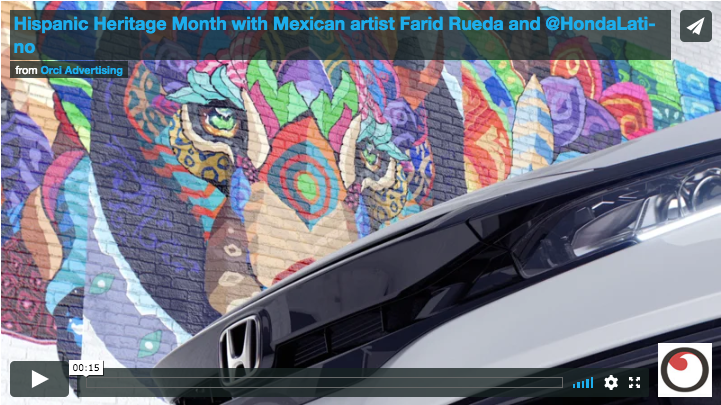 Celebrating Hispanic Heritage Month, the team at FELLOW worked with graffiti artist Farid Rueda’s artwork, splicing it and then animating the pieces of artwork all over the new Honda Civic bringing it to life. Multicultural agency Orcí partnered with Mexican street artist Farid Rueda as part of a social media campaign celebrating National Hispanic Heritage Month for Honda. Hulu teams up with FELLOW for New Show "The First" Promo Package.